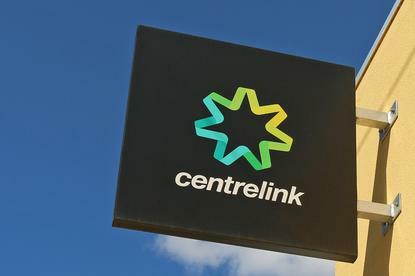 A shift by Centrelink to the New Payments Platform (NPP) will mean that emergency welfare payments can be made almost instantly, according to the government. The Department of Human Services has been trialling the NPP for six months, the government said today. During recent floods in Townsville, disaster recovery payments totalling $2.2 million were made using the NPP, meaning people didn’t have to wait 24 hours or longer to get access to money. “Previously, if you needed help late in the day or over the weekend, factors beyond my department’s control could see several days pass before payments were processed by an individual’s bank,” human services and digital transformation minister Michael Keenan said in a statement. “That is no longer the case,” the minister said. The NPP went live in November 2017, although its formal public launch didn’t take place until early 2018. The Reserve Bank of Australia oversaw the development of the platform, which is owned by NPP Australia Limited (NPAA) and whose basic infrastructure is operated by SWIFT. NPPA was formed in 2014 and is owned by 13 financial institutions, including the RBA: ANZ, ASL, Bendigo Bank, Citi, the Commonwealth Bank of Australia, Cuscal, HSBC, Indue, ING, Macquarie Bank, NAB, and Westpac. The NPP initiative grew out of an RBA-backed review of the Australian payments system. On 13 February the platform celebrated 12 months of operation, with more than 75 banks, credit unions and building societies rolling out support for real-time payments, according to NPPA. More than 90 million transactions worth in excess of $75 billion have been made using the platform. Alongside real-time payments, the NPP supports rich transaction data and new ways of making payments through its PayID system. PayID allows identifiers such as a mobile phone number or email address to be used instead of an account number and BSB when making payments. The RBA last year indicated that take-up of PayID had been somewhat sluggish. More than 2.5 million PayIDs have so far been created, according to NPPA. NPPA recently launched an API framework and sandbox designed to help third parties take advantage of the new platform. More than 25 organisations have signed up to take advantage of the sandbox.